Keep a dictionary handy while your child learns about homophones - words that sound the same but have different meanings. Encourage students to look up the meaning of a homophone if they don't know it! Integrate word meaning into your homophone lessons. Understanding the meaning of a homophone will help your students accurately spell these unique vocabulary words. Can you tell the difference between by, buy, and bye? Your fourth grader can master these difficult homophones with a just little repetition. Choosing your or you're can be difficult for everyone. 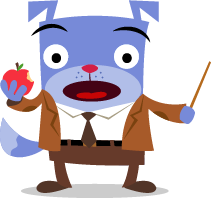 Your student can learn quickly while filling in the blanks of this story. Homophones can be tricky. Choosing the correct word, it's or its, will be a breeze for your fourth grader as he reads through this story. 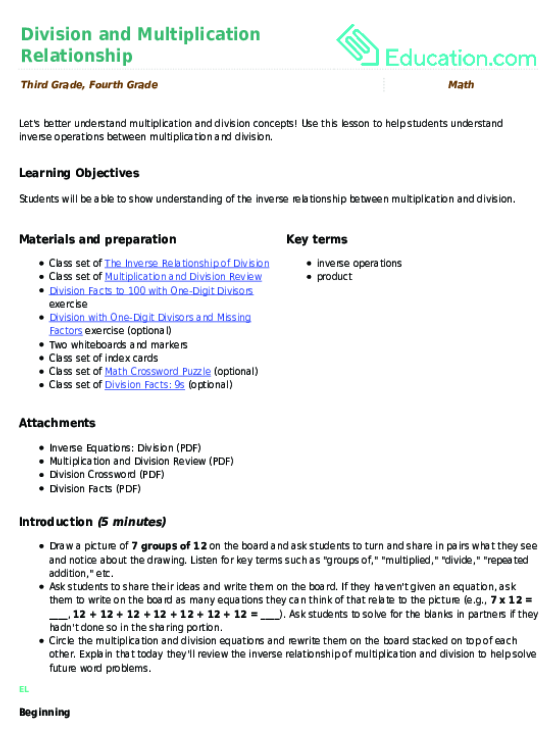 Help your child practice basic division with these resources. Division fact fluency is an essential skill when kids start learning how to solve long division problems. Pick a division game and have some fun! Division fact fluency is an essential building block to more complex math, such as long division. Provide your students with ample opportunity to practice their basic division facts in order to prepare them for these types of problems! Make sure to reinforce the inverse relationship between multiplication and division as they practice facts to 100. Mastering division facts is essential for every fourth grade student. 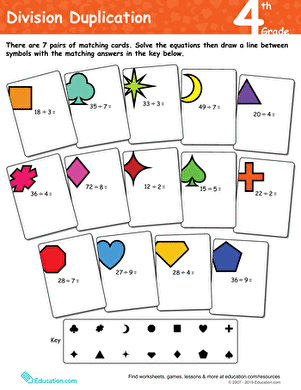 Review the basics with your fourth grader on this fun worksheet. Young readers are word investigators, responsible for finding the meaning of unfamiliar words. Remind your child to refer to glossaries or captions in order to heighten his understanding of a text. At one point or another, kids tend to feel overwhelmed with unfamliiar words when reading nonfiction. Remind them to lean on resources such as glossaries and captions to find the meaning of an unknown word. Context clues and the main idea can also help to uncover the meaning of difficult words. In this exercise, students will practice an active reading strategy while building their vocabulary! In this lesson, students will improve their skills in using context clues to determine the meaning of difficult words. Use it as a stand-alone lesson or as support to the lesson Journey on the Underground Railroad. Engage your young writer in a conversation about a topic that she feels passionately about. Conversations about potential writing topics often allow kids to "grow" their ideas in a fun and comfortable space. Have students choose a topic that they feel passionately about. If they're stuck, show them a list of potential persuasive writing topics. Place students in pairs and have them ask each other to share their ideas and feelings about their chosen topic. Students will often come up with great evidence in conversation that they can integrate into their writing. Get ready to voice your opinion! 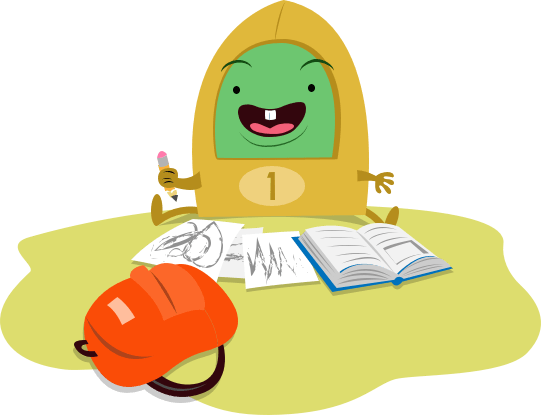 This three-part series will strengthen kids' writing organization and their confidence. In this worksheet evidence-based writing skills start with reading comprehension. Students will craft their own essay using this graphic organizer as a helpful way to get started.